Ancient and epic tales have migrated with people wherever people have traveled the globe. Carried in the heart rather than the hand, these ancient narratives are humanity’s heirlooms. They have been preserved over time by the tongues of tellers and have migrated into literature, captured by scribes. In my workshop intensive at the NSN conference I will be inviting people to embark on a fascinating global journey through time, place, and culture by exploring some of the oldest plots on the planet. Along the way we will meet Beowulf, Gilgamesh, Osiris, Odysseus, Gassire, and more. Beyond the concept of “the hero’s journey,” popularized by Joseph Campbell, these timeless tales illuminate “the hero’s choices.” Teaching leadership skills, heroic epics model how both the wise and the foolish characters experience the resulting positive or negative consequences that result from the choices made along the story’s journey. Ancient tales offer listeners and readers insights into the intimate, personal work of seeking to understand the meaning of life in the face of the inevitability of death. Powerful human emotions and recurring themes of natural disaster, supernatural forces, and parallel worlds flow through the heart of these ancient narratives. Addressing universal human concerns, these stories transcend their time and place and are still compelling and relevant for modern listeners. It is comforting to see that ancient people faced the same challenging choices that we still encounter today in our modern world. Perhaps their ancient voices can guide us on our way. Heroic quests for victory, honor, wisdom, and order have long been common connecting threads in the multicultural fabric of epic tales. In my research, I’ve noticed an enduring belief pervading ancient stories that there is more to reality than meets the eye. This underlying assumption allows narrative space for mystical, supernatural, and otherworldly elements to intertwine with the mundane logic of ordinary day-to-day life. There is much to learn about the creative writing process from investigating the popular oral fare of ancient tellers. It is fascinating to me that the compositional structure of traditionally oral tales has been echoed by writers across the centuries and has shaped our modern sense of story construction. In researching classic epics and ancient tales to feature in my books and share in my workshops, I constantly come upon familiar literary techniques such as weaving a backstory, unfolding parallel tales, beginning in medias res, framing one story within another, and using metaphor and a cast of dramatic characters to describe complex human predicaments. Oral tradition is the bedrock of literary expression. Modern literature still employs these classic narrative devices. I hope my workshop intensive at the NSN Conference 2017 inspires participants to explore some of the ancient classics of storytelling and helps to deepen appreciation for the roots of our art form. Come learn more about this topic at Heather’s workshop at the 2017 National Storytelling Conference, June 28-July 2, in Kansas City, Missouri. Both an award winning storyteller and author, Heather Forest is internationally celebrated for her evocative retellings of multicultural folktales. Heather Forest’s newest book Ancient and Epic Tales from around the World , published by August House, has recently won a 2017 Storytelling World Award, a Parent’s Choice Award, a NAPPA (National Association of Parenting Publications Award) and is an INDIES Book of the Year Award Finalist. She is currently offering workshops and concert performances based on the book. 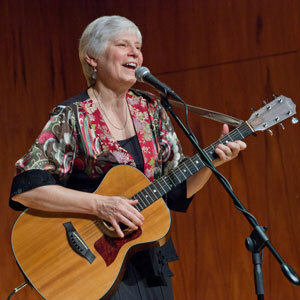 She is available nationally for festivals, conferences, workshops and storytelling concerts.